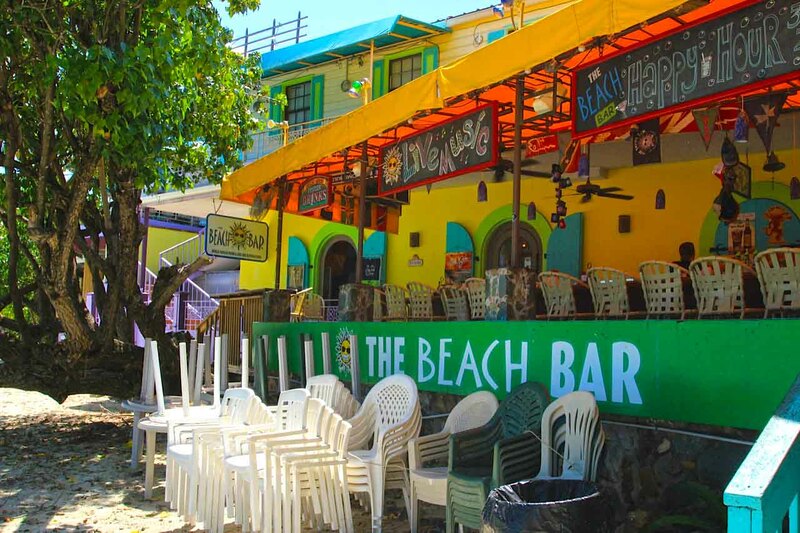 The Beach Bar on St. John in the US Virgin Islands doesn’t need a fancy or clever name. 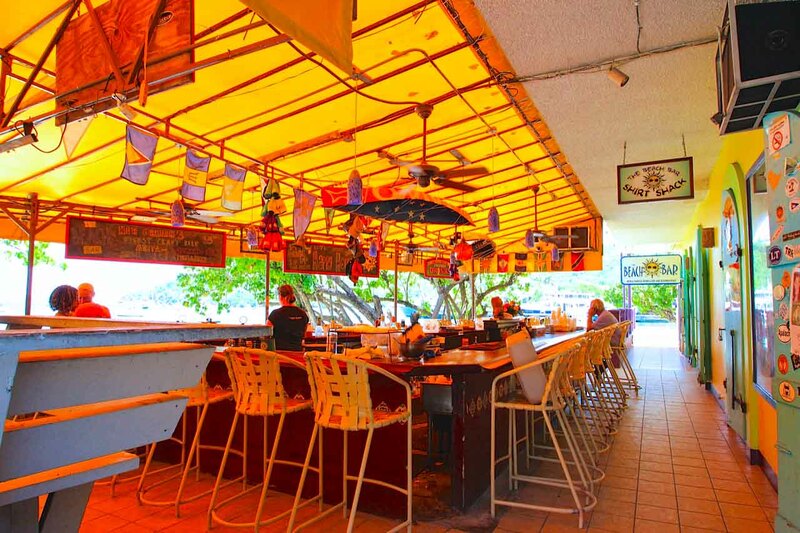 It just goes by “The Beach Bar” and that’s all the notoriety it needs. Located on Cruz Bay, the Beach Bar is often mentioned in conversations that involve the best Caribbean beach bars. 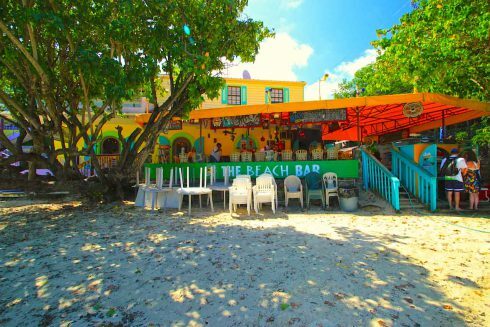 Described by Rum Shop Ryan via rumconnection.com as a beach bar “famous for its sunsets and its exciting cocktail fueled atmosphere,” the Beach Bar recently underwent an ownership change without missing a beat. 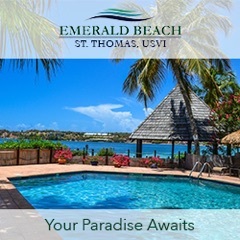 It’s been voted the best beach bar on St. John by St. John Tradewinds and Virgin Islands Daily News every year since 2005, won a 2013 Trip Advisor Certificate of Excellence winner and just announced on their Facebook page that they won the Certificate of Excellence again in 2014. 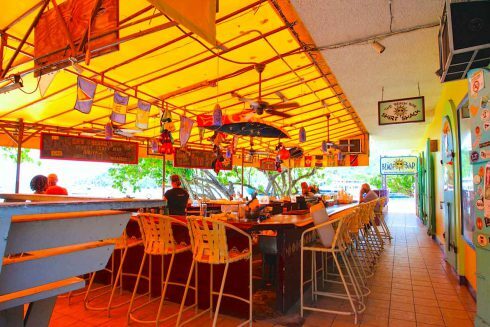 A convenient spot for some of the island’s best music, the Beach Bar is located just to the right of the of the ferry dock in Wharfside Village and offers $4 Painkillers to those of us looking for liquid treatment for whatever pains are ailing us. 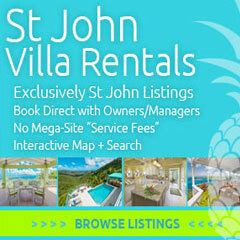 Don’t fancy a Painkiller? They’ve got you covered with everyday happy hours from 3-7 (which is actually four hours but whose counting), $1 off beers and $3 well drinks. As any reputable beach bar should, the Beach Bar in St. John also offers merchandise with their logo slapped on it – order $100 or more of beach bar swag and you’ll get free shipping! Of course, at $25 or more per t-shirt, they should probably ship them for free regardless of how many you order but when the asking price of your beach bar was $1.8 million, I guess charging so much for t-shirts kind of becomes a necessity. But hey, they still offer $3 well drinks so just buy a t-shirt when you’re there! Special thanks to Noelle Campbell for allowing use of her photos. You can check out the rest of her handiwork via her Instagram account.